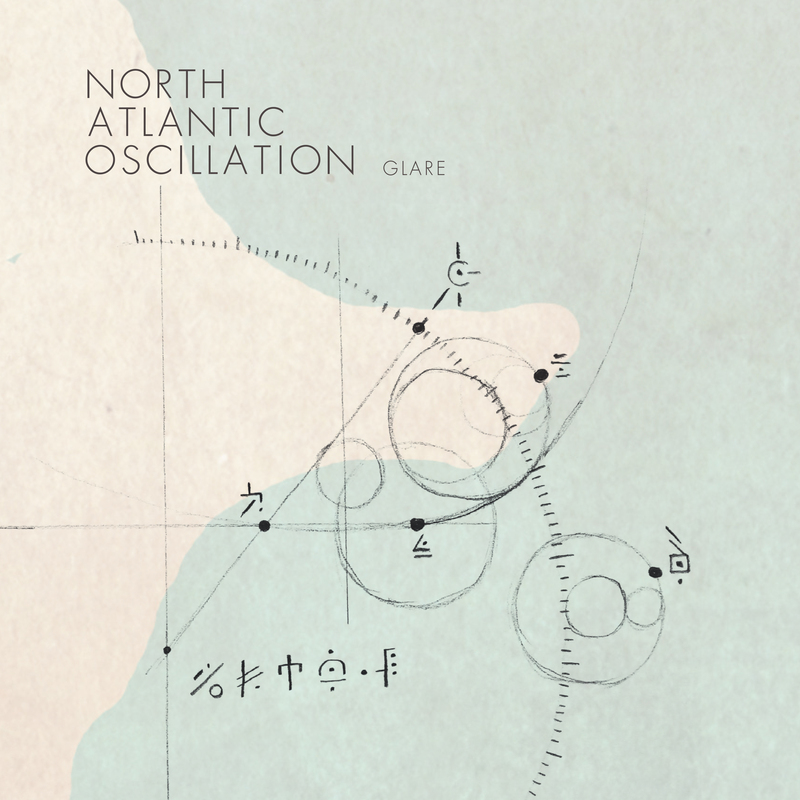 Glare is Edinburgh trio North Atlantic Oscillation's companion piece to their 2014 album The Third Day, featuring two original songs and two remixes from that album. The new material is noticeably better than the remixes, though nothing is strikingly bad. The title track leads things off, the obvious standout of the set, and feels like the only song where all the pieces come together just right, with an opening that suggests flying a clockwork airship across a desert of blue sands. It's a solid, driving piece that brings out the best in Sam Healy's voice, blossoming into a nice groove between the bass and drums, and all well balanced by the keyboard work. The first remix, 'Wires', done by Steve Wilson, starts out promisingly, with some interesting percussion and a delicate guitar melody, though Healy's singing doesn't quite work as well in this instance. The song builds in some bulky synth bass and heavier beats, but then goes off the rails with a disturbing and totally out-of-place piano section that sounds straight out of a horror movie. It's weird enough to spoil the flavor of the tune, which eventually dispenses with it pushes on through to its conclusion. The second new song, 'Sisters of Mercy', is a sweet, churchly tune, with Healy's voice shining once again. The upbeat melodies herein provide a strong sense of forgiveness for any sins on the part of the listener, with some downright heavenly choruses. The EP closes with "Penrose", the second remixed track, a short instrumental that starts with the clicking clacking percussion that seems to be a trademark of the band, but which lacks real personality. It's neither exciting nor annoying, with its up-and-down-the-scales synths and basic drums, but rather just a piece of music that barely impedes upon the senses, leaving the listener with a flavorless, forgettable tune that ends the set on a flat note. Still, outside of the one odd piano part, this is decent enough listening, and fans of the band will certainly be pleased with a few extra tunes to fill out the most recent long player, though most would do better just grabbing the new songs and forgotting the only barely modified remixes.